The Gift Box is a personal and original gift: you give your loved ones the opportunity to compose themselves the product photo of their choice. He decides everything. You choose the amount of the Gift Box (from 25 to 500€) and the language of your Gift Box (French, Dutch or English). The Gift Box will then be shipped to you within two business days. Note that you can send it directly to the person you want to offer. You order online the Gift Box you want to offer. You specify the address and shipping method for the Gift Box. You can send it directly to the person of your choice. 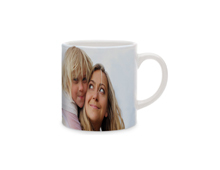 The recipient of the Gift Box creates its Photo Product of his choice using our software. He then order online his Photo Product without forgetting to encode their personal code to receive the order free of charge. His Photo Product is then printed and sent to him within 5 working days. Each Gift Box is related to the photo products depending on the selected value of the Gift Box. The recipient of the Gift Box can, however, create the Photo Product of his choice (exccept photo print). If the amount of his order exceeds the amount of the Gift Box, he will only need to pay any extra charges at the time of his online ordering (price of the Photo Product and delivery costs). If the recipient order a Photo Product whose value is less than the amount of the Gift Box value, the residual amount will be lost. The Gift Box can not be combined with other promotions. • Valid only on www.tictacphoto.com. • The unique promotional codes are valid 1 year from the date of purchase. • Possibility to extend the validity date of a Gift Box if it expired less than one year ago against payment of €5. • A Gift Box whose validity period expired more than one year ago can no longer be exchanged. • Delivery is included, within the limit of the amount of the Gift Box. • Gift Boxes cannot be exchanged for cash. • Gift Boxes can not be combined with a promotion.